August sees the launch of the third Field and Hunter Balmoral Macnab Challenge. Once again, we invite those intrepid adventurers to take to the hills and bag a Macnab in just one day. The ultimate sporting achievement for a right-thinking man – or woman – with a gun, rod or rifle in hand, this is fieldcrafts’ Olympian challenge. For those who find geography conspires against the classic combination of grouse, stag and salmon, there are 10 other categories at which they can try their skill. Like the Classic Macnab, all must be completed in one day. If you opt for a Classic Macnab then planning where to attempt the challenge is vital. One doesn’t need to take a helicopter from beat to moor; it can be done much more sensibly by speaking to an agent who knows his stuff and following his advice. It needn’t break the bank to go for a fieldsports’ gold. Over the past two years Allan Hemmings’ estate, Gannochy in Glen Esk, Angus, has taken the honours for the number of Macnabs produced: six in 2010 and another six in 2011, including one by The Field’s Editor. Hemmings has breathed life back into the sporting estate and, since 12 August 2004 – when Hemmings achieved his own Gannochy Macnab – the Roll of Honour hanging in the Gannochy gun room has recorded the successes. Auchmull Lodge on the Gannochy estate is available to rent with fishing (there are six rods available) and further sporting packages, including the Macnab and driven grouse as well as walked-up and over pointers. Robert Rattray from CKD Galbraith has had “two of the three ingredients on a number of occasions. I do think it is a great thing to do – a great sporting challenge. Getting the salmon early in the day is the key.” He has picked a selection of properties ideal for attempting a Macnab. Amhuinnsuidhe and Aline in the Outer Hebrides are perfect Macnab territory. Both are available on a short-term basis so there’s no need for a week-long excursion if it is a Macnab you are after. In fact, when undertaking a Macnab the fewer the distractions the better. 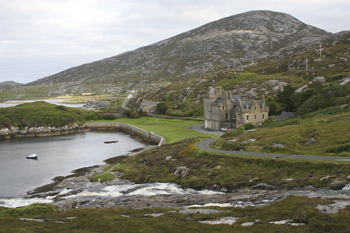 Amhuinnsuidhe is a luxury, fully catered castle on North Harris. Although it is available for a full party of 18 on a weekly basis, it also offers the opportunity to pare down costs and go on a per person or per couple short-break basis – ideal for the man with Macnabbing in mind. The castle offers a variety of loch and river systems for salmon (so often the most trying part of the Macnab), grouse and stalking on the estate. Price: £212 per room per night based on single occupancy; stags, £400; fishing, £175 per rod per day; grouse, £150 plus VAT per brace. Aline, on the boundary of Lewis and Harris, is a modernised and refurbished fully catered lodge that sleeps 10. There are also self-catering cottages on the estate, available by the week or on a short-break basis. The variety of river and loch systems for salmon, and the grouse and stalking on the estate make a Macnab ready for the taking. 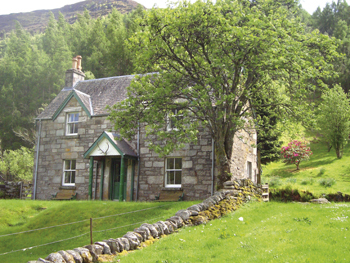 Price: £3,450 per week including fishing; stags, £365; grouse, £100 plus VAT per brace. On mainland Scotland, Rattray recommends Inverinain on the South Chesthill estate. This self-catered lodge sleeps six to eight and is available by the week. With salmon fishing on the River Lyon, walked-up grouse and stalking on the estate, the three vital ingredients are present. 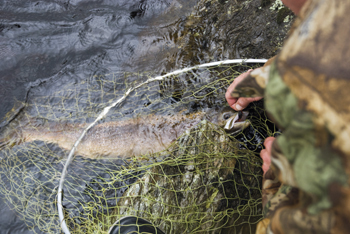 Price: from £1,183 per week; fishing, £25 per rod per day; stags, £396; grouse, £128 plus VAT per brace. Newly refurbished Langwell estate lodge in Wester Ross can sleep 14 and Glen Cottage sleeps six self-catering. The salmon fishing is on River Kanaird, with walked-up grouse and stalking on the estate. Price: from £3,000 per week for the lodge and from £500 per week for Glen Cottage; stags, £380; fishing, £50 plus VAT per rod per day; grouse, £120 plus VAT per brace. 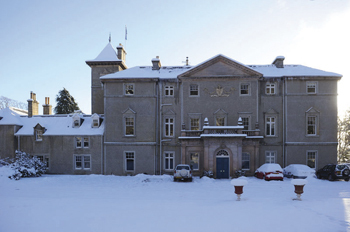 Roxtons‘ recommendation is Meall Mor Lodge on the 19,000-acre Kildermorie estate in Ross-shire. “It is known for its magnificent scenery and mixed sport.” Its trout and salmon fishing on the Alness and Loch Morie, walked-up grouse, ptarmigan and stalking for sika and roe as well as red deer make a Macnab a tangible prospect (though we will accept nothing less than a red to clinch the Classic). The main lodge houses 20, with the price starting at £5,000 for the week, including one day’s walked-up grouse, three red or sika stags, unlimited loch fishing and two rods on the Alness. Smaller self-catering cottages are also available on the estate. “At Morsgail we don’t charge for the Macnab, it is purely a bonus if guests achieve one,” says George Goldsmith. 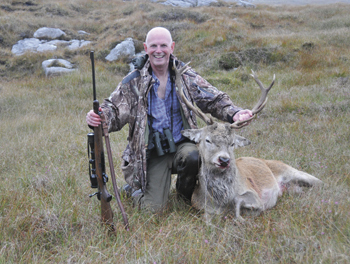 The estate lies in the Outer Hebrides and Mark Molyneux, the owner, bagged his Macnab there in 2011. He had to drag his stag home, which made for a late start after the grouse, the final shot coming at twilight. A week at Morsgail in August to include salmon fishing and two afternoons of walked-up grouse costs £6,995 including VAT on a fully catered basis for up to 10 guests. 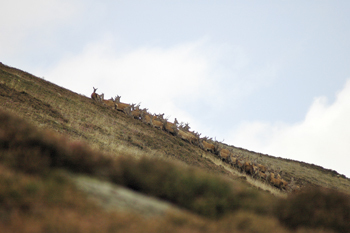 Stags are charged at £350 plus VAT each. If an estate holds the holy trinity of salmon, stag and grouse then a Macnab could be on the cards. You might take a lodge for a week or organise just a couple of days. However the challenge is undertaken, it is a once-in-a-sporting-lifetime opportunity. Available to rent through George Goldsmith or Savills, Brechin.